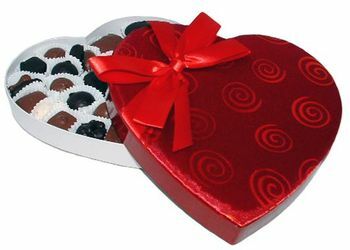 Satin Swirl Heart Box - 1 lb. A beautiful heart box for a beautiful person, this red satin swirl heart box is filled with a pound of luscious Assorted Chocolates. Choose an all milk chocolate assortment or a mix of milk and dark chocolates.